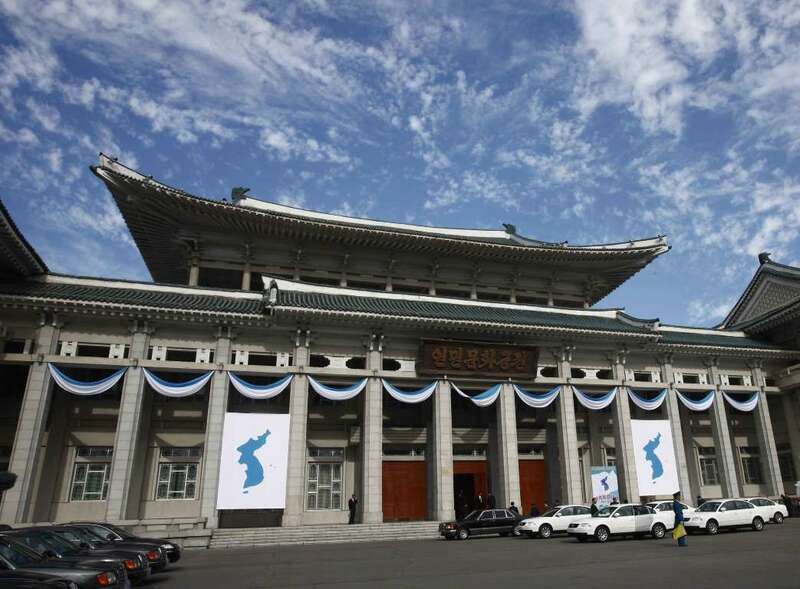 The Koreas held a high-level meeting in North Korea's capital on Friday to discuss the implementation of agreements from a summit last month between North Korean leader Kim Jong Un and South Korean President Moon Jae-in. The meeting in Pyongyang involved South Korea Unification Minster Cho Myoung-gyon and senior North Korean official Ri Son Gwon, chairman of the North Korean agency that deals with inter-Korean affairs. Details of the discussions weren't immediately available. "You had the chairman of the Committee for the Peaceful Reunification of the Country waiting in the hallway like he has nothing to do," Ri said, loudly, when Cho arrived, according to pool reports. Cho laughed and blamed a wristwatch that was set 30 minutes late. Friday's meeting came as U.S. Secretary of State Mike Pompeo prepares to make his fourth visit to Pyongyang on Sunday with the aim of setting up a second summit between Kim and President Donald Trump. In addition to government officials, the South Korean delegation includes lawmakers, civic and religious leaders and the son of late South Korean President Roh Moo-hyun, who participated in the 2007 summit with North Korea's then-leader Kim Jong Il, the father of current ruler Kim Jong Un. The Trump-Kim summit produced an aspirational statement on a nuclear-free Korean Peninsula without describing when and how it would occur. North Korea has been playing hard ball since then, accusing the United States of making "unilateral and gangster-like" demands on denuclearization and insisting that sanctions should be lifted before any progress in nuclear talks occurs. Pompeo said Wednesday he's optimistic he'll come away with a plan for a second summit between Trump and Kim and progress on a "pathway for denuclearization." However, he distanced himself from an earlier stated goal of getting North Korea to abandon its nuclear weapons by the end of Trump's four-year term in January 2021.